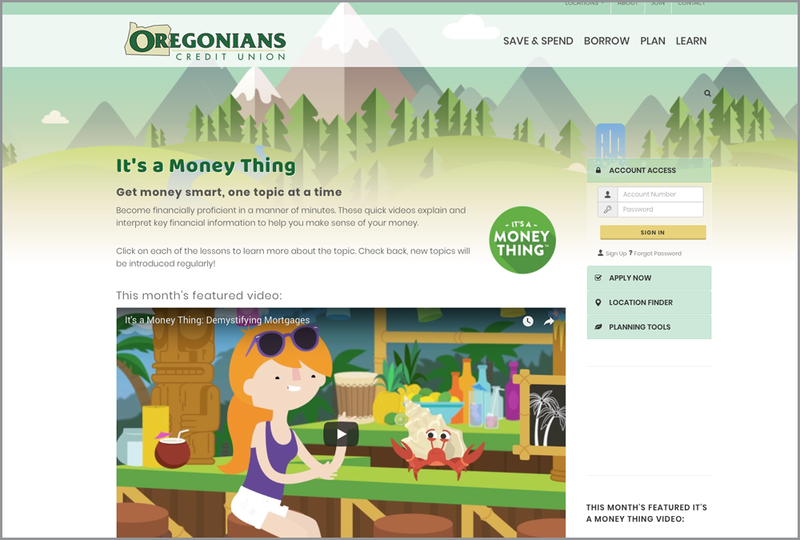 It’s a Money Thing is a full library of effective and affordable financial education content designed to engage and teach young adults while setting your credit union apart. Young people learn everything there is to know about money from an eclectic cast of experts. This quality content is ideal for posting to your credit union’s website and social networks and a great way to connect with local educators and students. Who said financial education has to be all serious and boring? We are inviting young adults to join our main character Jen on her journey to understand everything there is to know about money. And we are doing it in a way that entertains while educating—this is the key to It’s a Money Thing’s success. The financial concepts presented are sophisticated, while the simple animated approach perfectly appeals to young adults. Using animation allows us to explain complex topics simply and in a memorable way while leaving a smile on your face. Watch “Leasing vs. Buying a New Car” to see for yourself. Watch “Leasing vs. Buying a New Car” to see our animation in action. Each It’s a Money Thing content pack tackles an important financial topic and includes a video, infographic, article, presentation, handout and social media graphics. 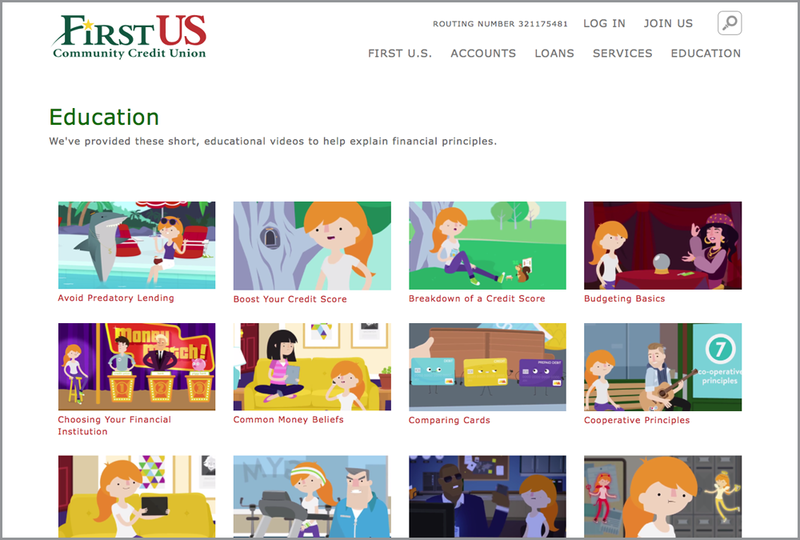 VIDEO—Each content pack includes a high-quality animated video that you can post to your credit union’s YouTube channel. It’s designed to engage, entertain and teach. INFOGRAPHIC—The topic is explored further with a dynamic and shareable infographic designed to present complex information quickly and clearly. PRESENTATION—The topic is expanded into a presentation that’s perfect for taking into high school and college classrooms. ARTICLE—A supporting article is ideal for posting to your credit union's blog and distributing through your print and email newsletters. HANDOUT—An informative 8.5"x11" page is ready to print and share. This handy reference can be coupled with the presentations or used in branch. SOCIAL MEDIA GRAPHICS—A number of social media graphics are included to post to Facebook, Twitter and Instagram. The videos, infographics, presentations and handouts are are all customized with your credit union’s logo to make an impact and leave a lasting impression. Grounded in Filene Research Institute’s extensive research in this critical and developing area, It’s a Money Thing will help your credit union engage and build relationships with young adults. Should this content be presented in high schools? Ten credit unions from the United States and Canada participated in an It’s a Money Thing year-long pilot conducted by Filene. Business results and young adult engagement were very positive. Should your financial institutions offer this content? Click the icons to see all of the pieces from each content pack. Your credit union is granted unrestricted use of all content for as long as your subscription is active. Plus, we’ll deliver new content packs as they are created. We have three options to match your needs and budget. All of the content is branded with your credit union's logo and can be used by your credit union for as long as your subscription is active. Content is specific to U.S. or Canadian credit unions. Help center access and personal support is included. We compared our All Access Plan annual subscription price against the cost of creating custom content using a popular video and data visualization vendor. We found that our price is actually 90 times cheaper. That’s not a typo! It would cost about $450,000 to outsource the production of this amazing content. With It’s a Money Thing, you have access to a growing library of awesome content for an affordable annual subscription payment. Plus, our program includes research, writing and coordination of the creative production—additional time-consuming tasks not included in the third-party vendor’s costs. We have a strict 100% originality policy—all original writing and absolutely no clipart, stock photography or stock footage is used in the creation of our content. We offer a money-back guarantee. Within the first 60 days, you may cancel your subscription and you will receive a full refund. We have designed It’s a Money Thing to be easy to get up and running at your credit union. However, that doesn’t mean you are completely left on your own to figure out how to best use your customized content and materials. 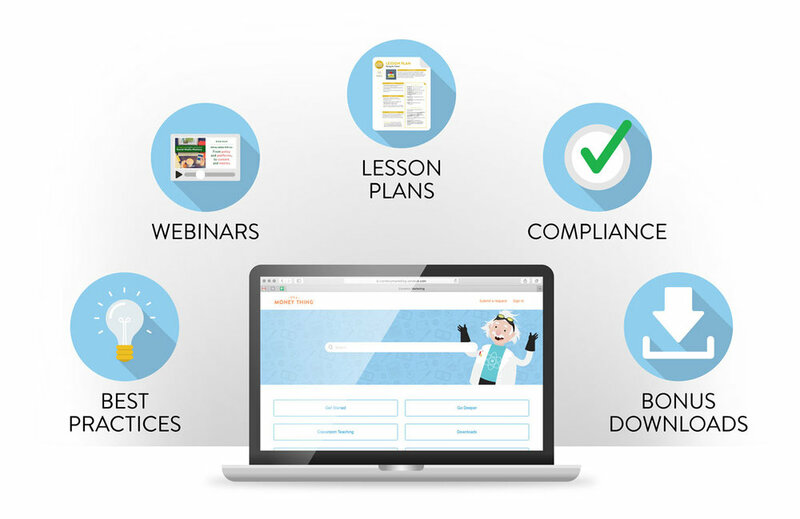 We have a client Help Center that’s chalk full of best practice articles, webinar recordings, logo and character assets, comprehensive lesson plans, tips on compliance and a rich library of bonus social media graphics and other materials that you are free to download and use. We also have a private Facebook group where we share client examples and encourage discussion between our users. Plus, we’re always available by phone or email to answer specific questions about your situation. Join more than 125 progressive credit unions in the United States and Canada that are utilizing It’s a Money Thing content! It isn’t easy to make financial education interesting and engaging, which is why so many credit unions struggle to generate quality content for their social media channels. These days, consumers expect online material that's polished and highly visual. Does that mean you have to invest a mountain of hours every week building professional-caliber content? No. Here's one alternative. Read the full article.